Today’s picks are from Craftmark, the license issued by AIACA to craft-based businesses in India for use on their products and labels. I don’t think there is a way to buy any of the products online. The exhaustive list of craft partners and artisans is impressive, and a gentle reminder of the rich cultural heritage of this country. It makes me immensely happy to see so many new businesses springing up so often to revive some inherent part of our local communities, which are at the risk of being forgotten and confined to history pages; be it Varnam, Porgai, Maati Crafts or The Color Caravan to name a few. A few of my favorite picks for the home. 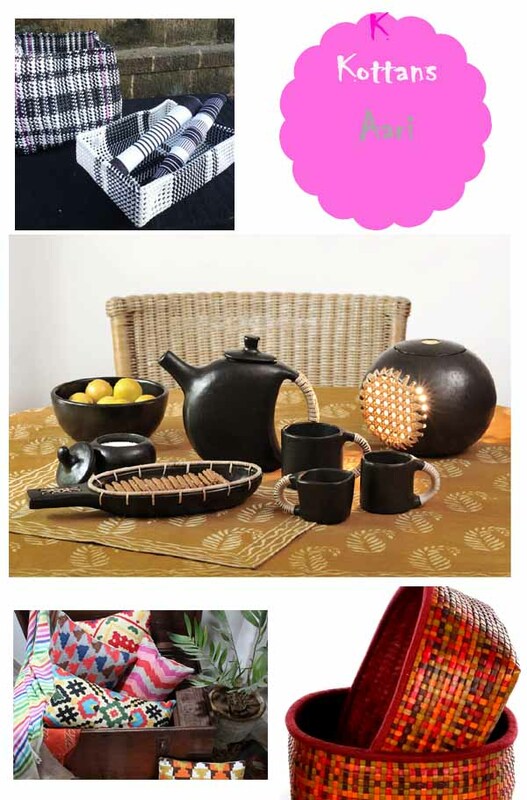 The kottans from Tamil Nadu and black pottery from Manipur. 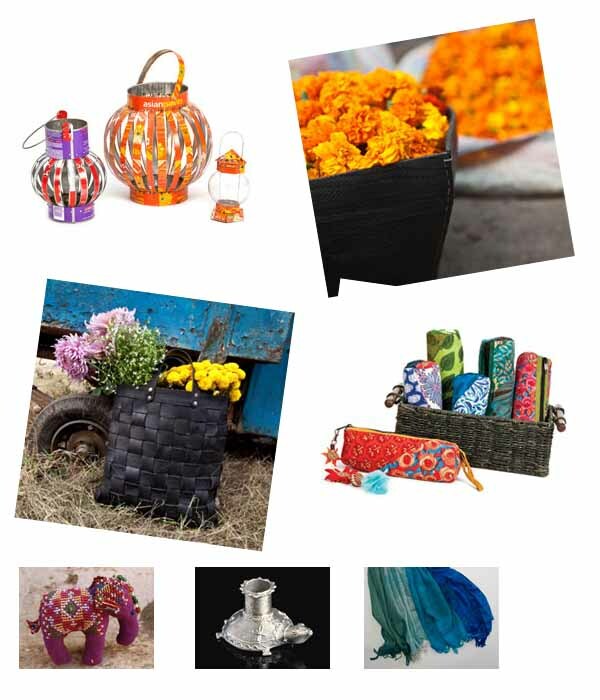 Doubt if one gets to see as diverse and colorful handloom and handicrafts available in India, anywhere else in the world? 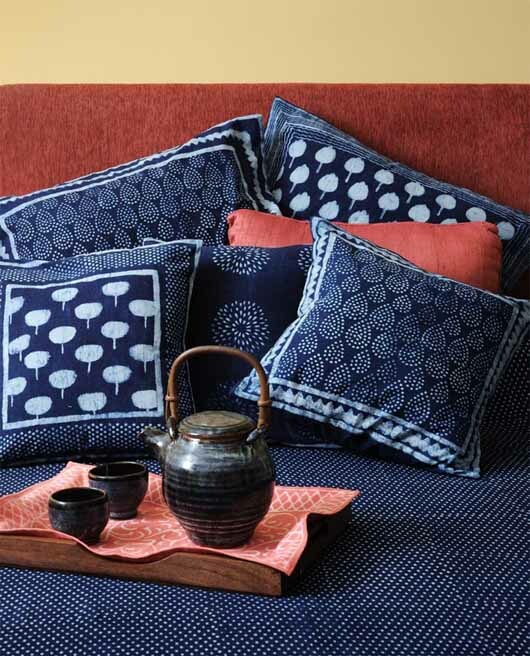 Apart from turquoise blue, of late I have a weakness for Indigo too. How about you? Such a bright and cheerful kids’ room. You may want to check the 2013-14 catalogue. Folks in Chennai: Are you going to the Crafts Bazaar? I have heard a lot about this 10-day extravaganza. If you happen to, please come back and share your stories, your picks. Have a great weekend. So wonderful things ………. I have checked the link. The craftmark is in Delhi. 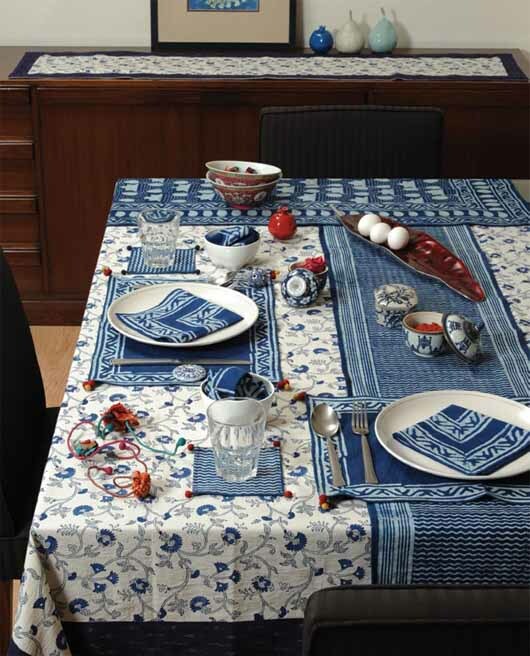 The Diningware and the kids collections are really very nice in catalogue. Infact everything is so nice .. But alas with no option of online shopping .